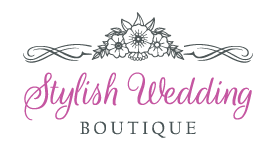 These stunning embroidered Wedding Garter Sets by Mariell feature scattered crystals on a delicate t.. These beautifully embroidered Wedding Garters are a best selling bridal accessory by Mariell. They a.. This finely crafted White Wedding Garter is inspired by Irish lace & features delicate tulle fin.. These beautiful vintage lace wedding garters are a best selling bridal accessory by Mariell at a gre.. 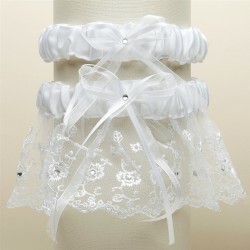 These beautiful Organza and Satin Bridal Garters with baby pearls and silver chain edging are a popu..